Sterling Silver Double Circle Round-Tube Polished Hoop Earrings, 30mm by Hoops & Loops at Lamont Design. MPN: 43213-61750. Hurry! Limited time offer. Offer valid only while supplies last. Sterling Silver Double Circle Round-Tube Polished Hoop Earrings, 30mm These earrings feature round high polished hoops with a double circle design. 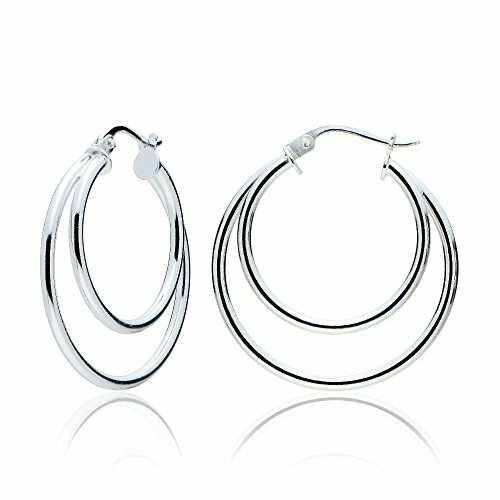 Round high polished hoops with a double circle design in sterling silver. They are 30mm in diameter. Hoops and Loops Jewelry define excitement and beauty.